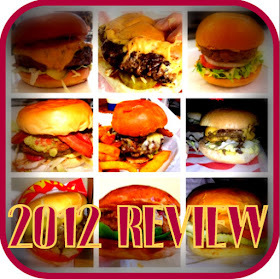 Burger Addict - There has been an explosion of burger restaurants in London over the past few years. Why have Shake Shack decided to open a restaurant in London? Edwin - We've heard for years from guests visiting NYC from the UK that they would like to see us come across the pond. 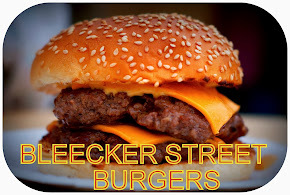 We felt the time was finally right, and we’re excited to see what Londoners think of our cooked to order burgers, hot dogs and made-fresh daily frozen custard ice cream. It was important for us to also find the right spot, and we feel we've found it at Covent Garden. With our expansive seating in the Market Building and the piazza outside – this Shack will stay true to roots (we were born in a park! ), and we hope this cultivates the vibe of a neighborhood hangout. I read previously you're going to be sourcing the beef from Scotland. Is this still the case and will all your ingredients be sourced from the UK or will you be flying some over? Our beef is 100% Aberdeen Angus beef that is grass fed on Scottish pastures. We don’t use hormones or antibiotics ever. Our fresh meat is ground daily and always prepared to order on site. London will feature our proprietary Shack blend that our guests have grown to love. The London menu will feature all the Shake Shack classics with several locally sourced ingredients. The Covent Garden menu will also feature its own custard calendar. Please see the press release for more details about the custom concretes. The menu in New York is huge; Are we going to have a similar menu in London? Our wall-size menu magnet board in the Shack may make the menu look quite big, but the actual number of menu items is really quite focused. Essentially, it’s just burgers, hot dogs, frozen custard, and beer and wine. We feel that if an item is on menu, then it has truly earned its place. Our roots are in fine dining and we take a chef-driven approach. (Danny Meyer started with Union Square Cafe in 1985, and it is still one of NYC’s top restaurants today). We feel that a menu item has to be the best it can possibly be. The London menu will feature all the Shake Shack classics and several locally sourced ingredients. It will also have an exclusive selection of frozen custard concretes made specifically for the Covent Garden Shack (please see the press release for full details). In New York a ShackBurger costs €4.60, roughly £3 - Will you be able to have similar pricing here? We feel that quality and value don’t have to be at odds. When we created the ShackBurger we made a conscious effort to make the best possible burger, while keeping the price affordable. The ShackBurger is $4.60 in NYC, and will be priced similarly in London at £5. CEO Randy Garutti describe SS as the anti-chain; with restaurants opening in London, Turkey and Las Vegas in the next year, how will the community feel that's made you so successful? Our first Shack, which was started in a NYC park helped forge who we are, and now it has helped define our personality, as we’ve grown. We created a true community-gathering place that’s fun, and a place where people can pass the time, enjoy a delicious burger, cold shake (or cold beer), and spend time with friends. The experience is just as important as the food. Each Shack is also approached differently. We don’t take a cookie-cutter approach. We design and build each location to mirror its neighborhood. We hire locally and teach the same hospitality that we do in our fine-dining restaurants. Our focus in London is that we want to be an essential part of the Covent Garden neighborhood. Danny Meyer says that hospitality is just as important as the food - I've personally found store & restaurant staff in America to be much more attentive and job proud then similar roles in the UK. Have you noticed this; if so how has this affected recruitment? We can only speak to our approach, which is to lead with hospitality. We do so within Shake Shack just like we do across all of our fine dining restaurants. Shake Shack employees are the brand. Guest-facing staff members have the incredible power to build or destroy brand equity in a single interaction. When we seek out new employees we look for people with the following traits: a warm and friendly character, curious intelligence, a strong work ethic, caring empathy, and self-awareness and integrity. Do you have an opening date yet and will Danny Meyer be coming for the launch? We open on 5th July. Danny Meyer, along with our CEO Randy Garutti will be in London for the opening. They are both very excited about our introduction in London. We’ll also have sixteen additional US staff members on hand to help the local team with the opening. This is such an important opening for us and the team is psyched. Looking at their collaboration with St. John bakery, and the reputation of Shake Shack and Danny himself, it looks as though us Londoners are in for a real treat.